La Maison du Whisky has followed the development of the whisky and spirits market in France, anticipated important new trends and helped an ever-increasing number of amateurs to make the best informed choices possible. 60 years of history, inextricably intertwined with that of whisky and its consumption in France. Georges Bénitah and his brothers discovered whisky for the first time in Casablanca, home to numerous American military bases, just as the Second World War was coming to an end. Back to Paris in the middle of the 1950s, the desire to share this new product was strengthened, transforming rapidly into a passion. In 1956, Georges Bénitah founds La Maison du Whisky for this niche market. His ambition: to become the French specialist in rare, exclusive and original whisky. La Maison du Whisky began by concentrating on wholesale activity, working primarily with hotels and restaurants, before going on to open its first boutique on the rue Saint-Didier in 1961. In a short space of time, La Maison du Whisky was able to establish itself as the whisky expert, becoming the benchmark not just in France but elsewhere in Europe also. The end of the 1960 is marked by two important events in the history of whisky consumption in France: the arrival of the first single malts at La Maison du Whisky and the end of quotas. The way is open for a flood of new whisky brands such as Cardhu, Glenfiddich, Glen Grant, Glenlivet, Strathisla or Miltonduff. This excitement is accompanied by the emergence of large groups who rapidly give structure to the market. In this context, La Maison du Whisky continues relentlessly to enrich its collection, and to play a first-rank role in the French consumer’s discovery of more exclusive single malts such as Caol Ila, Highland Park, Lagavulin or Springbank. From the beginning of the 80s La Maison du Whisky becomes an independent import company in its own right, taking advantage of close relationships formed with certain producers years previously. At the same time, La Maison du Whisky increases the number of boutiques it operates in Paris to 4, all based in different areas of the capital: on the rue d’Anjou, on the avenue de Saxe, on the rue de Passy and on the rue de Tilsit. 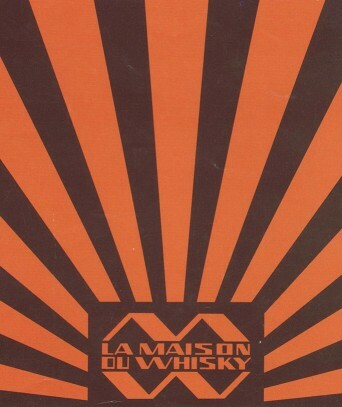 La Maison du Whisky distinguishes itself from others by the privileged relations it enjoys with the main actors in the Scotch whisky market, in particular with the independent bottlers Gordon & MacPhail and Signatory Vintage, both specialised in old vintages and rare bottlings from closed distilleries. In the middle of the 1980s, La Maison du Whisky commercialises the first cask strength whiskies, releasing a number of casks of exceptional quality as exclusive bottlings. Ever more intent on bringing its exclusive bottlings to the greater public, La Maison du Whisky relies increasingly upon a network formed with the independent off-licenses that become the company’s first partners. La Maison du Whisky offers amateurs a rich and varied range of over 150 whiskies from all origins, of which around 100 are single malts. 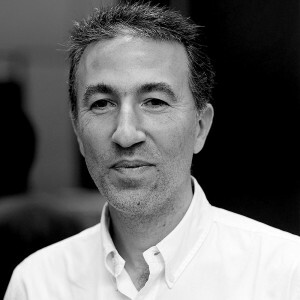 The arrival in the company in 1995 of Thierry Bénitah, Georges Bénitah’s son, sets the company firmly on the path towards becoming a major distributor. 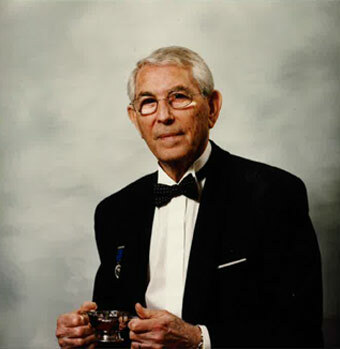 His two years in the United States were the occasion for him to make the acquaintance of two emblematic brands, Blanton’s and Heaven Hill, further enriching La Maison du Whisky’s portfolio and helping to open the way to yet other brands and distilleries such as Redbreast in Ireland, Arran in Scotland and the Japanese whiskies of Suntory. It was also at this time that education became an important part of La Maison du Whisky’s programme. As a specialist, the company was recognised by the Flammarion publishing house who requested two books on whisky and associated lifestyle: l’ABCdaire du Whisky (“The Little Book of Whisky”) and Le Whisky (“Whisky”). During this period, the La Maison du Whisky portfolio expands from 500 to some 1,000 different products and so the company decides to promote them through a brand new website www.whisky.fr, equipped with an online boutique as early as 1997! For La Maison du Whisky, the first decade of the new millennium is incontestably associated with the arrival on the French market of whisky “made in Japan”, creating an almost insatiable demand on the part of amateurs. Nikka whiskies arrive for the first time in Europe and are included in the La Maison du Whisky catalogue in 2002. 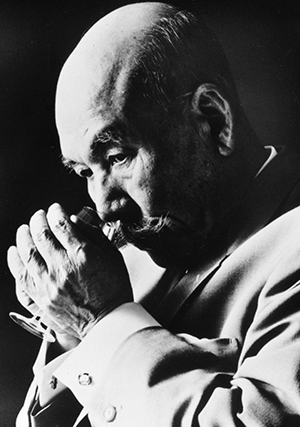 This passion for the products of Japan gives a sudden impetus to whisky drinking habits in France. At the same time as she is discovering the whiskies of Japan, La Maison du Whisky turns to other whisky producing countries from far-flung lands such as New Zealand, Tasmania, India and Taiwan, but also from much closer countries to home but still relatively unknown as whisky producers such as Sweden, Wales, Italy and France. The 2000s see the opening of two boutiques outwith France: one on La Réunion Island, the other in Singapore. In order to accompany this development, and more determined than ever to promote the whisky category, La Maison du Whisky creates in 2004 a publishing company specifically to handle the first French version of Whisky Magazine, and organises the first French whisky show, Whisky Live Paris. The privileged partner of the Nikka Whisky company in France since 2001, La Maison du Whisky becomes the brand’s official distributor for all of Europe in 2007. Strengthened by this partnership and by the subtle balance brought to the company portfolio by a careful selection of whisky for beginners, limited releases and a large number of fine spirits, La Maison du Whisky speeds up the development of its network in France and, at the same time, increases export activity in over 45 different countries. In the domestic market, La Maison du Whisky has become one of the undisputed main players in the on-license sector and works hard to develop the new fashion for cocktails and mixology. At the dawn of the company’s sixtieth birthday, and focused more than ever on the future, La Maison du Whisky undertakes the restoration of the boutique on the rue d’Anjou. In November 2014, this brand new space is inaugurated, revealing another string to its bow, a collection of over 2,500 rare and highly collectable bottles, built up over the past 30 years. Nikka whiskies are included in the La Maison du Whisky catalogue for the first time. La Maison du Whisky La Réunion opens in Saint Denis de la Réunion. La Maison du Whisky Singapore opens. La Maison du Whisky becomes Nikka's official distributor for all of Europe.